Pricing listed is IN SALON only. 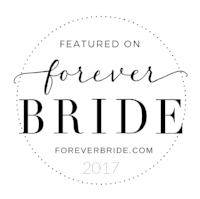 Please head to "brides" to find bridal information and pricing. I will provide you with a menu via email for your big day. Scheduled services are reserved especially for you. 24 hour advance notice is required in order to cancel any service with no charge. If your appointment is not cancelled within this notification period, your appointment is considered confirmed. Any changes or cancellations made with less than 24 hours notice are subject to full payment of the scheduled service. You will need a credit card to book your appointment. Your card will only be charged if one of the following applies. Otherwise, you can pay for services with cash/credit upon completion. All appointments have been designed to allow appropriate time for each service. Your late arrival may limit our ability to offer the fullest possible experience. Please be aware that late arrivals will not be afforded extension of scheduled service. Services will be rendered only for the remainder of the scheduled appointment and you will be responsible for payment for the full service.